When Andrew Carnegie purchased the expansive lot for his mansion across from Central Park in 1899, the neighborhood was still-sparsely developed. Broken rows of brownstone dwellings dotted the streets around East 90th and 91st Streets; but the great mansions of New York’s wealthiest citizens had, for the most part, not advanced beyond 70th Street. Nearly abutting the western edge of his property was No. 15 East 90th Street—an 1880s house described by The New York Times as a “four-story brownstone-front dwelling.” As the Carnegie mansion rose, the old rowhouse was sold in May 1902 to Daniel B. Freedman. Freedman quickly turned the property over to the Isaac Lawrence family. With the completion of the Carnegie mansion in 1903, the neighborhood rapidly developed as other millionaires moved north. The Lawrence house retained its old Victorian personality as marble and limestone mansions rose nearby. The Lawrences would live in the house for years. It was the scene of intense grief in the summer of 1905 when 18-year old daughter Gwynn visited her friend, Violette Lockwood at her summer home, “The Villa,” on the Miles River in Maryland. While swimming in the river with Violette and a male friend, Gwynn drowned. In the meantime, his wife devoted herself to charities. She conducted an annual amateur “hat –trimming bee” for the benefit of the Sunday kindergarten children which was judged by a Fifth Avenue milliner. Isaac Lawrence died prior to 1921 and that year, in December, the house was leased by his estate to Wilbur D. Gray. Gray divided the house into high-end apartments of sorts; but its life as a boarding house would not last long. By now Carnegie Hill had become highly-exclusive. A block away from No. 15 East 90th was the mansion of John B. Trevor at No. 11 East 91st Street. Emily Trevor had grown up in that house and in 1926 she acquired the old brownstone at No. 15. Six years earlier the wealthy literary agent Elisabeth Marbury had architect Mott Schmidt transform a Victorian rowhouse at No. 13 Sutton Place into a Georgian residence. The neighborhood—one of tenements and a brewery—was not the sort of place one expected a respectable, moneyed woman to live. Before long the newly-widowed Anne Vanderbilt broke ranks with the Fifth Avenue set by hiring Schmidt to create a 13-room Georgian mansion from an old Effingham Sutton house. Next door, Anne Tracy Morgan, the daughter of J. Pierpont Morgan, did the same. 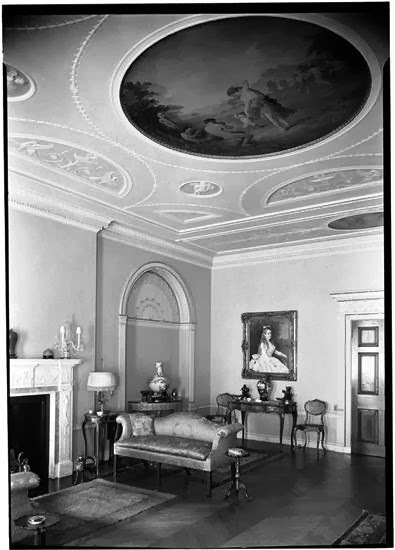 Within three years Mott Schmidt had transformed the Sutton Place neighborhood into an 18-century enclave for the band of unmarried female millionaires. Emily Trevor was, perhaps, not so intrepid as to move to the far East Side; but she did follow suit in her choice of architects and design. 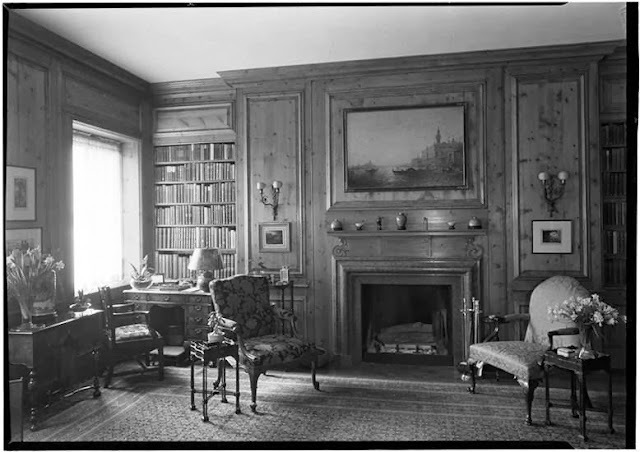 Emily, also unmarried, had the old Lawrence house demolished and she commissioned Mott Schmidt to design an up-to-date mansion befitting the neighborhood. 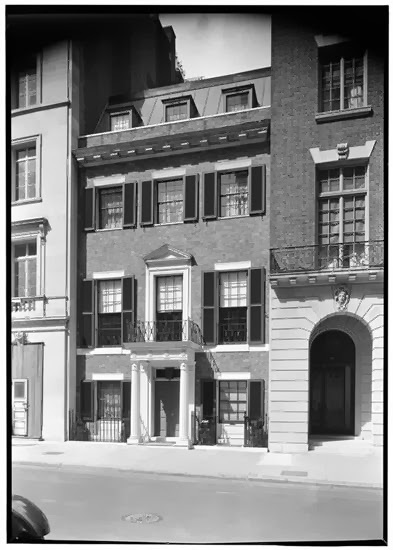 Mott created a charming three-and-a-half story neo-Federal home that would have been quite at home on Sutton Place. Clad in Flemish bond red brick, it was trimmed in contrasting white stone. The double entrance doors were sheltered by a refined Corinthian portico that supported an iron-railed balcony at the second floor. It was an appropriate addition to the block dominated by Carnegie’s massive Georgian mansion. Emily moved into the new house in 1929 and in 1931, following his graduation from Columbia College, her bachelor brother John B. Trevor, Jr. joined her. John held memberships to the expected exclusive men’s clubs—the Knickerbocker, Union, and the Racquet and Tennis Clubs among them. When his engagement to Evelyn Louisa Bruen was announced seven years later, the match made headlines in the society pages. The couple was married on November 18, 1938. Following their honeymoon they returned to Emily’s house to live. Emily Trevor lived quietly in her handsome house on East 90th Street. She was a member of the Colony Club and busied herself in philanthropic endeavors; yet rarely appeared in the society pages or hosted lavish entertainments. In 1943 the health of the aging spinster began to fail. After a lengthy illness she died in the house on Christmas Eve of that year. John and Evelyn continued to live on in Emily’s Federal-style mansion. As she had done, they worked for charitable causes. 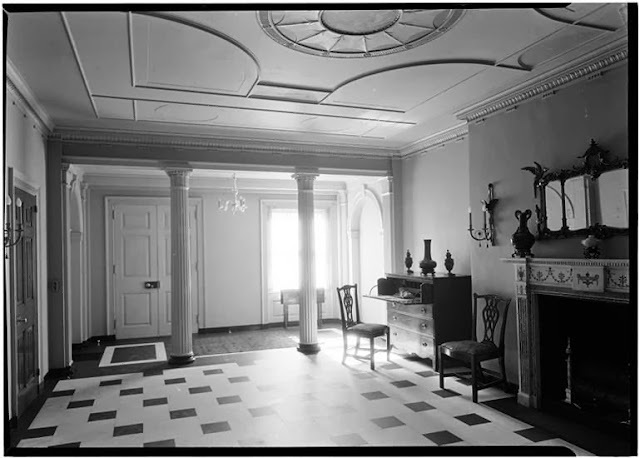 In 1952 the house was the scene of a reception and tea to mark the end of the New York City Mission Society’s fund raising drive for its building and rehabilitation project. John, by now, was vice commodore of the St. Regis Yacht Club at Upper St. Regis, New York where the couple summered. For many years he maintained a lighted beacon at his own expense on the St. Regis waterways to aid vacationing yacht owners. John B. Trevor, Jr. died in 2006 at the age of 97 in Paul Smiths, New York. By now he had given up the 90th Street house. The family of Harold Levin lived here. Levin was a retired lawyer who had been active in the establishment of benefit plans for unionized construction workers. On October 19, 2002 Harold Levin died at the age of 99; a near-century of life that gained him the distinction of 76 years as a member of the New York Bar and as one of the oldest living graduates of Columbia Business and Law Schools. Emily Trevor’s charming slice of the 18th century remains a single-family residence. And Schmidt’s handsome design has never been corrupted by modernization. Nice save of a beautiful building!